theCURVYcon 2016 Teal Swagbag Haul! One of the perks of attending theCURVYcon as a Teal ticket holder was the huge swag bag. I know that social media is full of buzz surrounding the Platinum bag, but I wanted to share how awesome the Teal swag bag is too. I should also mention that this video serves a dual purpose as not only am I sharing my swag but submitting a contest entry to win a new Canon DSLR camera. Wish me luck! Note: This video was filmed between the hours of 2 and 3 AM in the morning which is why I am kind of all over the place. Style notes: In this video I am wearing the crop eyelet shell top from Lane Bryant in a size 18. 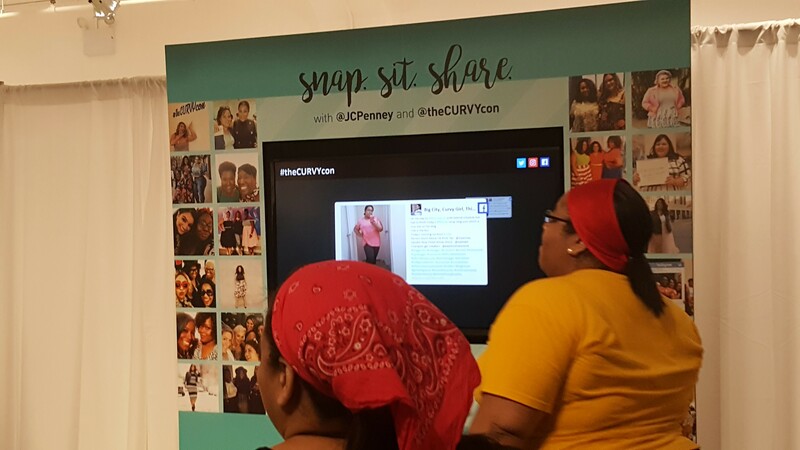 Last year marked the first ever annual Curvycon and as you can guess, I was beyond upset at the fact that I couldn’t attend. So I made a point to get my ticket for this year’s con early so I wouldn’t miss out. 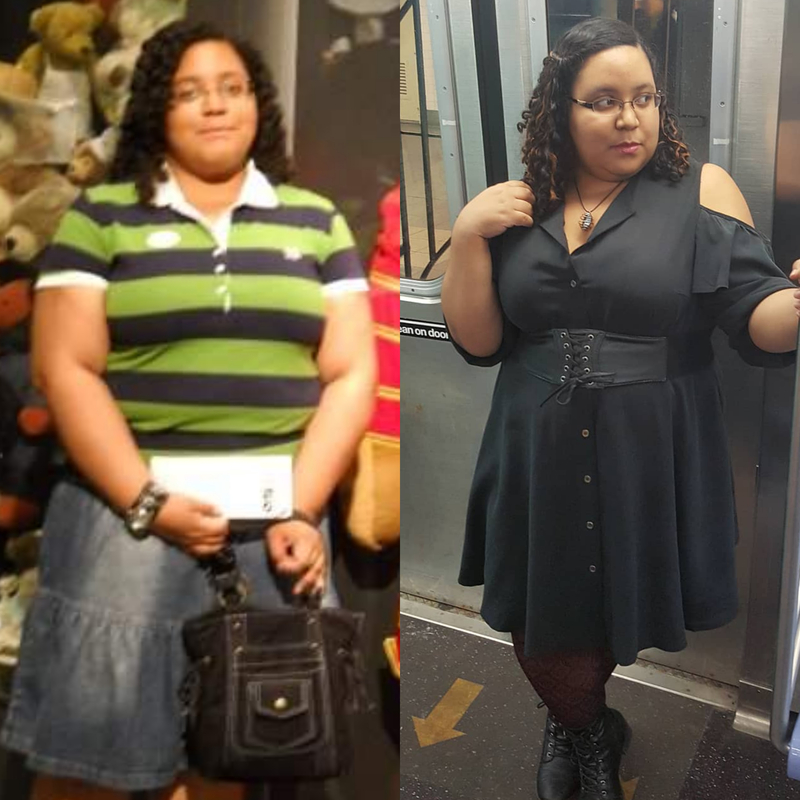 This was incredibly important to me because Cece Olisa and Chastity Garner were the two first plus size bloggers I found when I was introduced to the medium. Words cannot express how significant this event is for the body positive and self love movements. There was just this feeling of love within every aspect of the event that I just had to share my experience. 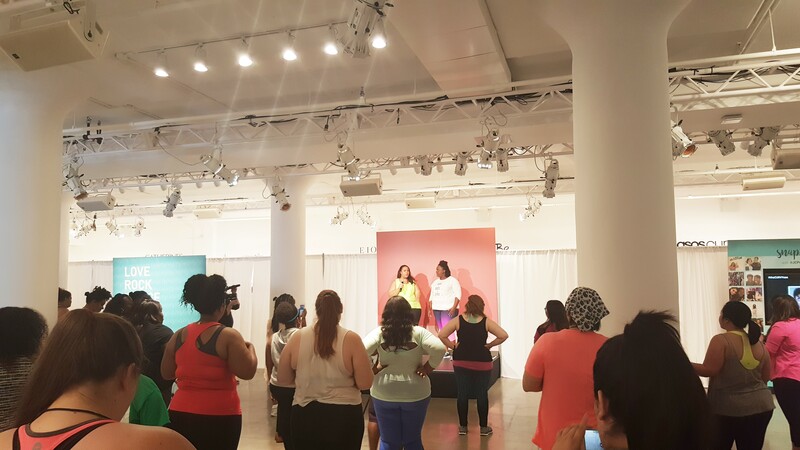 The morning started with sessions hosted by blogger and CURVYcon co-creator, CeCe Olisa, and fitness guru, Anowa Adjah. I must say that they were not playing around with this workout which made me glad that I came prepared. It felt great to workout in a non-judgmental space with body positive instructors. I especially appreciated how both Cece and Anowa made it fun and educational, stressing that working out is not punishment for the body you have but rather a form of self love. That funny moment when you run into an event a full half hour late only to find your Instagram post on the Tagboard screen.